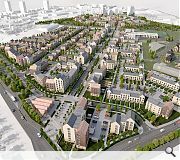 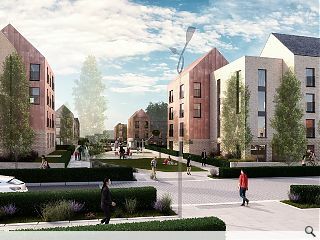 Delivery of 800 homes in north Glasgow is progressing apace after the city council signed an agreement with Keepmoat Homes to deliver the Sighthill Transformational Regeneration Area. 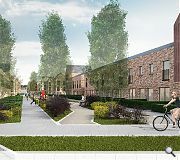 Overseen by LDA Design and Collective Architecture the £250m masterplan will replace 10 former high-rise blocks with low-rise housing, augmenting 140 GHA homes already delivered, with a school campus, a ‘street in the sky’ footbridge spanning the M8 motorway and a road bridge to Port Dundas. 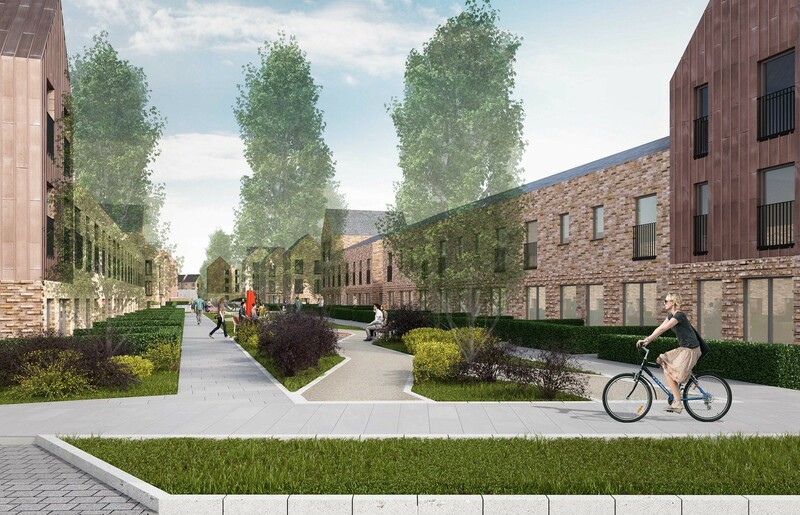 A network of pedestrian and cycle routes, public spaces, allotments and parkland will be delivered in advance of the Keepmoat development breaking ground, incorporating a mix of lochans, burns and wetlands for drainage. 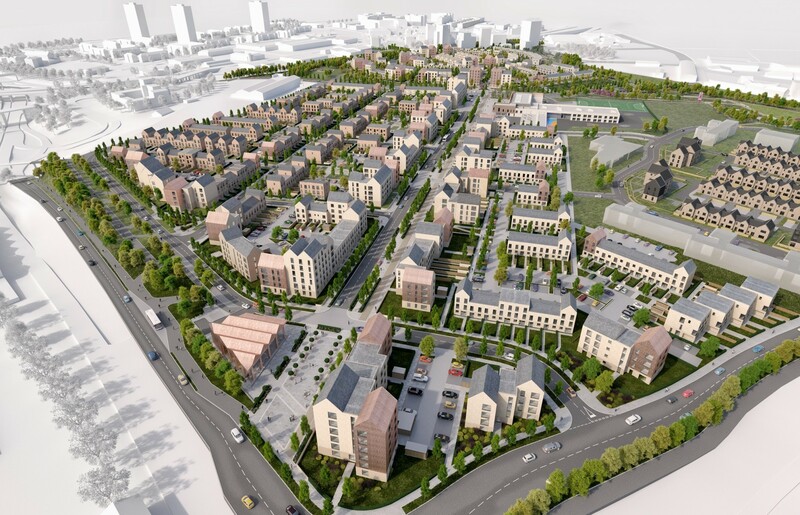 LDA Design Director Kirstin Taylor said: “This is a key moment in the history of Sighthill. 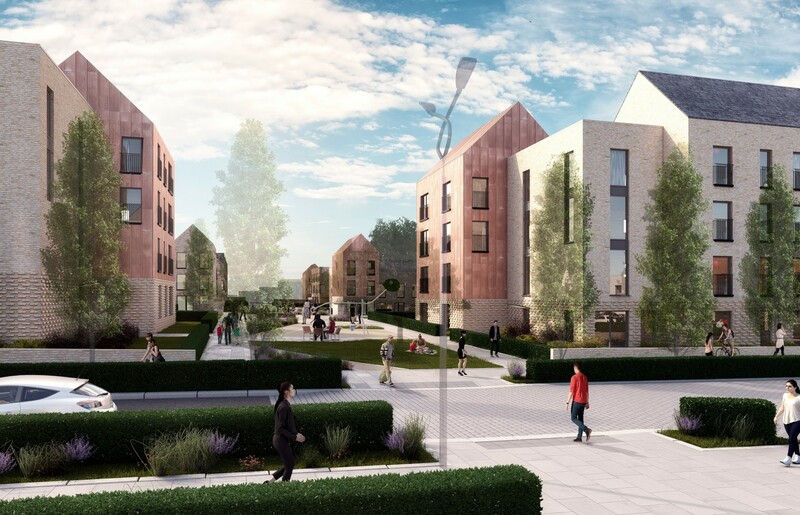 We are delighted to have the opportunity to further progress the plans to create a welcoming place to call home that is well connected to the rest of the city.